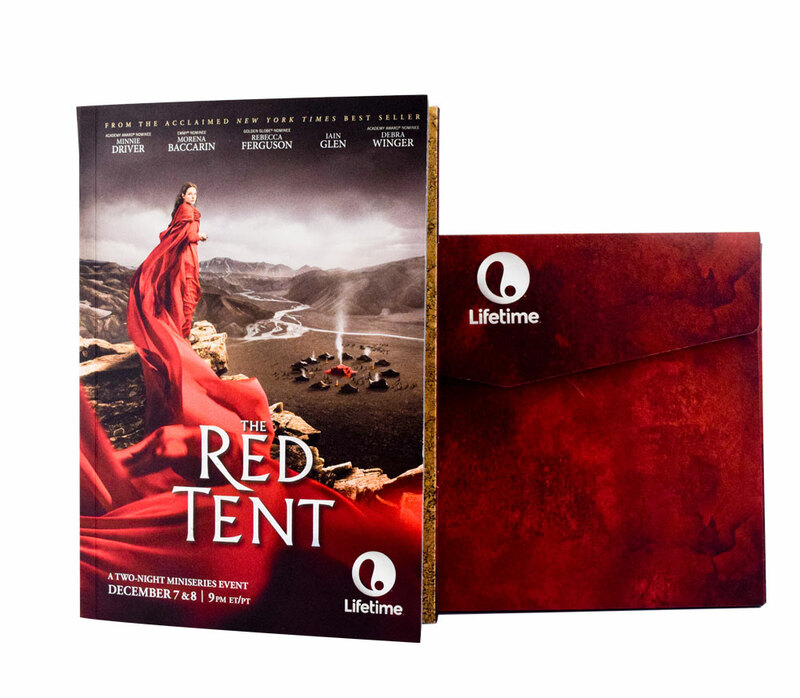 With the premiere of Lifetime’s much anticipated Red Tent mini series, the network was looking for a unique design to bring the themes of the show to life. They wanted to achieve high impact with a targeting group of media contacts while also staying within budget. 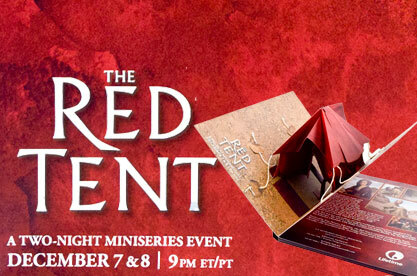 The red tent is the main focus of the action and substance throughout the mini series. 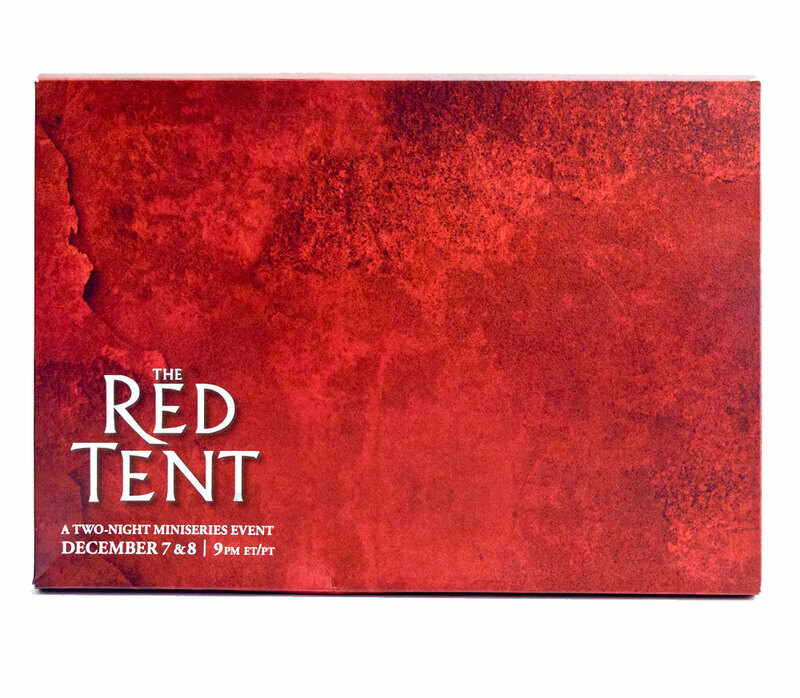 Given this importance, it was obvious that the tent needed to come to life in print. 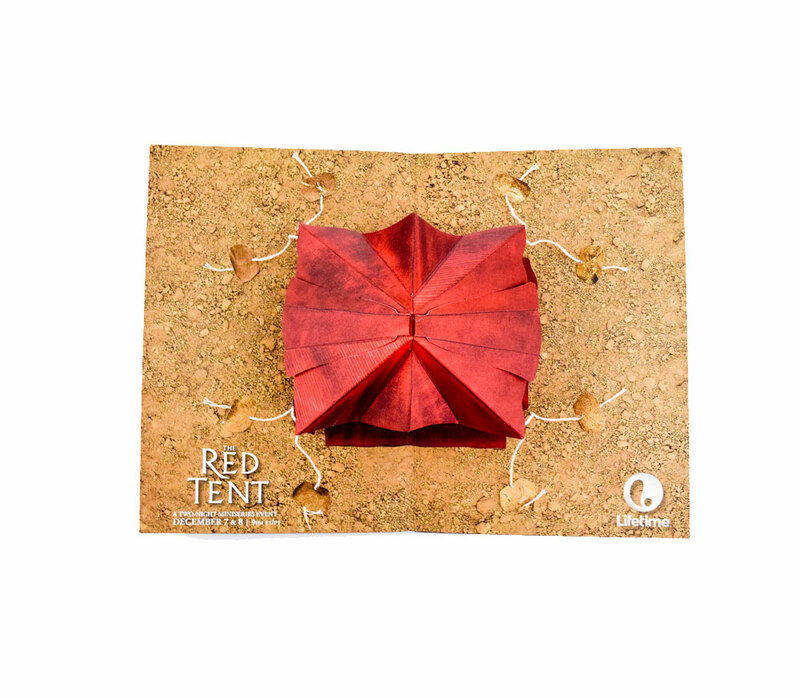 With the best team of paper engineers around, led by industry legend David Rosendale, Americhip developled a three-dimensional pop-up tent was to create a visually stimulating piece that would truly set itself apart from other media kits. 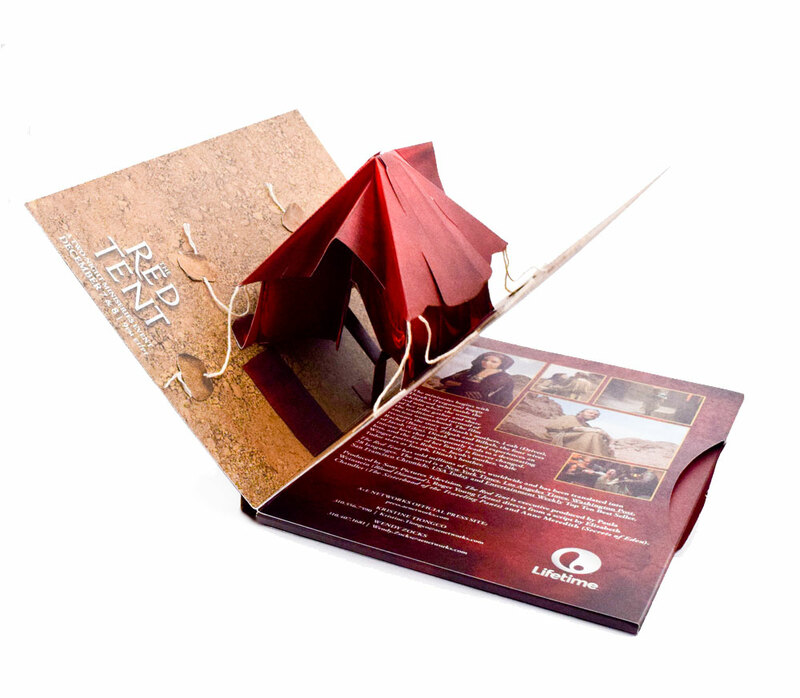 The textured book was made of high-quality paper stock, and when opened, revealed an highly detailed “Red Tent” that literally pops up from the page. The piece engaged both the sense of touch and of course sight. When world-class paper engineering was needed, Americhip came through. 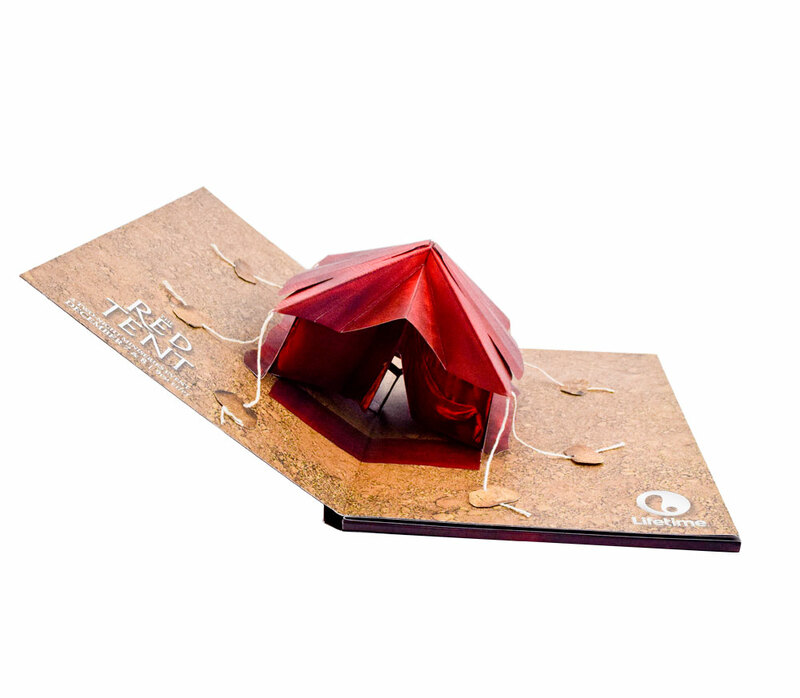 The media kits were distributed to various outlets just before the launch of the new series and the reception to the pop up design was just as impressive.